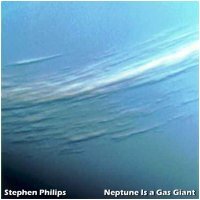 Along with his studio music, Stephen is also an accomplished performer of drop-dead gorgeous live ambient music, both in front of live audiences as well as via net radio. This album is such a performance, recorded Live on Stillstream.com on January 29, 2008. On this evening, Stephen blew the audience away with a subtle and seductive performance that had them talking for hours afterwards. Earth Mantra has long been a fan of Stephen's music, and we have heard him perform live many times, but even we were left dazzled by Stephen's latest handiwork. Truly this is one of the best live performances in recent memory, and we are very happy to be able to bring it to you as an Earth Mantra release. Give it a listen and see if you agree. Straightforward yet beautiful and not cliche, this improvised piece works well as a "floating" peaceful aural background. Excellent for meditation or relaxation - or perhaps for that next big trip to inner space.